A project may look appealing, but is it project-based learning? My answer to that without hesitation is no. The focus of a project is the product, while the focus of project-based learning is the learning that occurs through the development of the project. If that just sounds like pitter-patter, then let's just focus on the quality of the project or project-based learning. How do I evaluate the project's caliber? Does it qualify as one of the top three levels of Bloom's Taxonomy? Is there variety in project outcome due to student choice and critical reasoning? Does the assessment measure the learning? 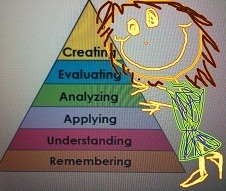 It's rigorous when it is focused on higher level thinking from Bloom's Taxonomy. How do you know? There is diversity in the product, and it's not something that can be looked up online or read in a book. A project that takes a long time to complete does not make it rigorous. 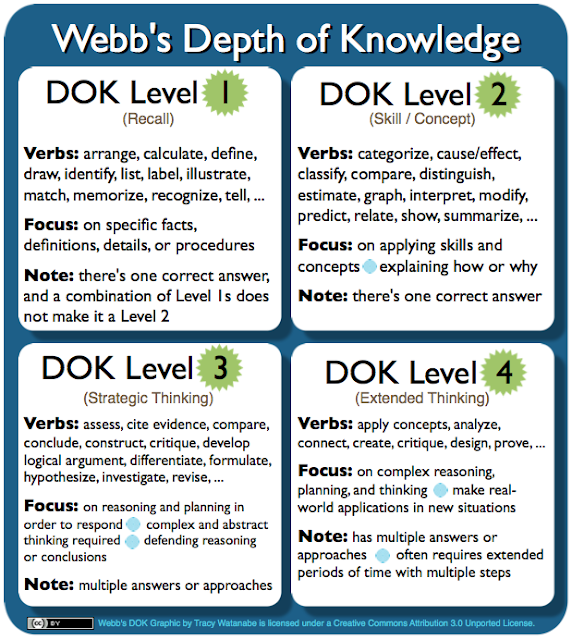 Creating a model of a castle is a beautiful thing, but models typically fall between the understanding and applying lower-levels of Bloom's Taxonomy. If that's the case, the time shouldn't be spent making it. Instead, teach it through direct instruction, look it up online or in a book, and then move on. 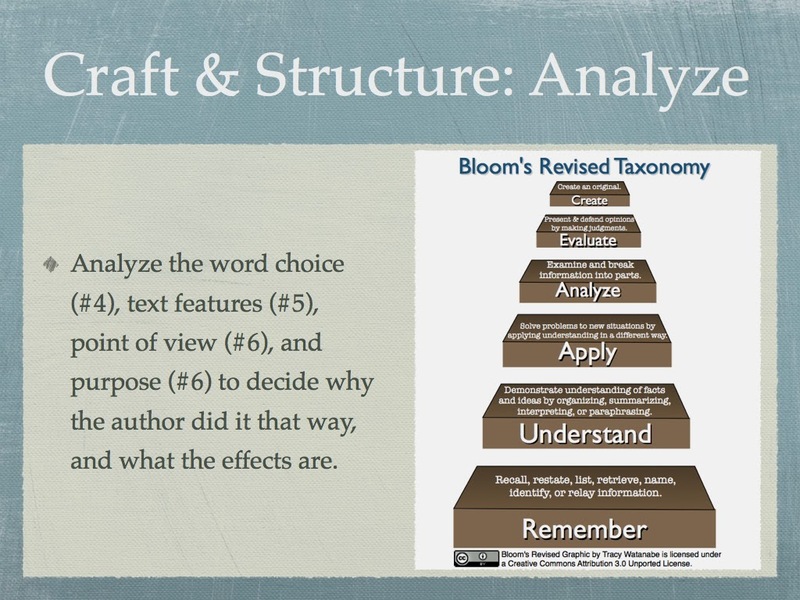 Or, restructure it at a higher level of Bloom's Taxonomy. PBL should be open ended with more than one type of product. However, having a choice board of different projects is not what I'm referring to here. That might be good differentiated instruction, but that does not make it PBL. Even if there are a lot of steps and instructions written down, the final products the students create should be diverse. Having students create presentations does not make it PBL. Taking the traditional research report and adding in technology to create a digital presentation does not change what it is -- it's just a fancy research report. Note: I create lessons that are described above, where we engage in a web activity and then students create presentations. I create these as a bridge from traditional teaching to student centered learning. It should not be mistaken for PBL, because it is a traditional lesson with technology layered on top. The goal when using technology in PBL is to connect beyond the four classroom walls, which wouldn't have been possible otherwise (such as connecting with primary sources, video conferencing, wikis, podcasts, blogs, etc.). It's also important to provide students with the freedom to choose the product and the tools to create it. The assessment should be made ahead of time, and should focus on measuring the learning outcomes rather than the product fanciness or the presentation itself. I will comment on this point more in another post. Sometimes PBL and thematic instruction get confused. There are quality thematic units which promote learning connections that normally wouldn't be made unless taught thematically; but thematic learning is not the same as project-based learning, nor vice versa. 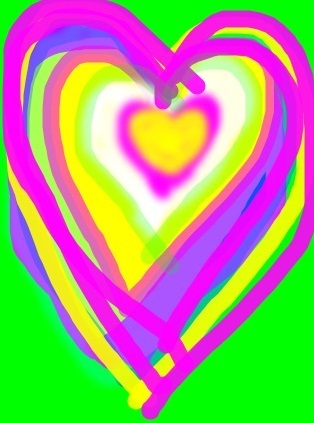 Having hearts on everything in February is cute, but it's not project-based learning. It's just a Valentine's theme, even if they create art work with hearts and write Valentine's stories. Some thematic units are extremely thought provoking, such as caring, generosity, fairness, or equality, and could easily be turned into PBL. Quality project-based learning focuses on higher levels of thinking from Bloom's Taxonomy; problem solving and/or critical thinking; quality learning outcomes, and assessment that matches the learning objective. Through reflection and planning, you can always improve the project, thematic unit, or techy traditional lesson, and transform it into quality project-based learning. So grab a colleague or a group of learners to bounce ideas around, and rework those old lessons/projects/themes into quality PBL. This post was inspired by Reinventing Project-Based Learning: Your Field Guide to Real-World Projects in the Digital Age (pages 60-62); Patrick Ledesma's articles on Choice 2.0; a conversation with FPES Principal, Brenda Farris; and the educators in AJUSD who are learning more about PBL. Thank you for this post Tracy. We should always reflect on our efficacy as teachers. It's worth reminding ourselves constantly whether we are handing out projects for the sake of "keeping them busy", or to encourage them to think analytically and creatively. Thanks Amy! It's funny, but I have had them do projects so many times because it was better than lecturing, having them take notes, and grade them on the quiz or report. 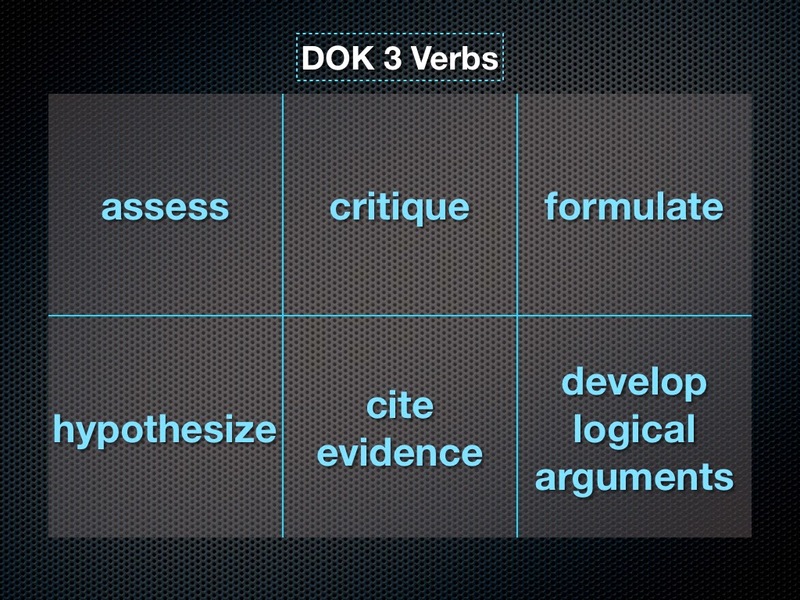 Every time I introduced a project, I'd reflect to improve... and would slowly climb the Bloom's Taxonomy. So glad I wasn't content with what I had... and I'm still learning. You bring out the core of the debate here--a project is not project based learning all the time. Projects have the students create something. PBL focuses on the learning--the process. I think teachers get confused on that--and then they are mad when the students don't ace the post test. They say, "See, I did project based learning and the students tanked." The key issue is the quality of the learning that is taking place, not the end product. I had not heard the phrase 'process over product' before this year. It makes so much sense. On the board in my room, the students often see a triangle. They know that when they see this, there is going to be higher levels of thinking going on that day. They are expected to decide, at some point within the lesson, on what level they are working. It makes them feel pretty special if they can say level 4 or 5! When thinking about doing a PBL in the classroom, I now think to myself: "What would the students be expected to do in real life with this skill?" A goal for next year is to have one PBL per quarter. A bit too much? Maybe. The students deserve to see what they learning being used in the real world. Go for 4,be happy with 2. Great brainstorming/discussion question with other language arts teachers: What real world projects could be linked to our language arts standards? @Taylene, You are so correct -- it's about the growth of the thinking process, not necessarily the product. One thing that I realized was how I initially created my rubric to assess this learning process was one of the key points to this. If everything was based on the final product, then I just got away from the essence of the learning process rather than the product. @Patty - One way L.A. teachers can set up a real-purpose and PBL is through Blogging. See http://wwwatanabe.blogspot.com/2011/02/blogging-with-students-internet-safety.html for more details. Thanks so much for commenting. There are so many great collaborative opportunities available to help foster learning beyond the four walls. Click here to view some of those opportunities. As always, let me know if there is anything I can do to help you or your staff with any of these ideas.